This spectacular sci-fi epic takes you from pre-history to the edge of the universe via a spaceship operated by a homicidal computer. The ending remains one of the most defiant enigmas in film, and its techniques set a standard for space (and spaced-out) films. It’s time again to have some fun, and what’s better than to revisit what many feel is the best science-fiction film ever made. Besides creating a divinely deadly computer for its main antagonist, it also creates its own future world inside a spaceship. But before we get there we’re given a few flourishes of creative film making like early man (well, gorillas really) who discover an icon in the desert and begin the march of civilization with a famous throw of a bone! And then there’s the dinner in 18th century dress and that giant, mysterious space embryo, and then… sound confusing? Well, come find out for yourself and have a terrific evening at the movies. Kubrick was always controversial when he was alive, the critics were divided, but after his death its reputation grows and grows, mainly because he never repeated himself, and his dedication to his own vision was unrelenting. For this reason even his failures are interesting, and he’s given a sturdy list of classic films: Paths of Glory, Dr. Strangelove, Clockwork Orange, The Shining, Barry Lyndon, and of course 2001. All of these films are unique, and the only thing they share in common is their directors vision. Kubrick often worked for years on a film, spent unreasonable amounts of time filming and editing, and was known as an uncompromising perfectionist. It paid off in the end! One Broadway star rises and another falls, all up on the silver screen with all the fangs and claws. One of the greats of Hollywood’s golden age, full of terrific performances and a grim-but-glamorous look at life in the theater. This is a great example of Hollywood's Golden Age. This film is all studio, filmed on sound stages with an exceptionally witty, literary and satirical scope, which brought it any number of Academy Awards. Now we can look at it as a period piece, with outstanding performances (and the film debut of Marilyn Monroe) and have a hearty laugh at the power struggles of theater types, and their delusions of grandeur. Joseph Mankiewicz should not be confused with his brother Herman, who has credit for co-writing Citizen Kane. Joseph wrote screenplays for 17 years before he was given a chance to direct his first film. After that, in a period of 6 years he directed 11 films. The two that are remembered fondly are A Letter to Three Wives and All About Eve. He is also attached to Hollywood’s most expensive flop, Cleopatra, a Richard Burton/Elizabeth Taylor extravaganza that was Hollywood’s misguided answer to the thoughtful and ambitious films coming from Europe. He is an example of the hardworking Hollywood director of the studio era, giving 40 years of his life to work of highly variable merit. This is where Art Saturday began! We'll tour the shows at some of San Francisco's most illustrious art galleries. Many of the top names in contemporary art show at these venues, so don't miss it! 11:15 Walking tour of downtown galleries including the Berggruen Gallery, the Gagosian Gallery, and the Fraenkel, Koch and Haines galleries at 49 Geary. One of Fellini’s most difficult films, but believe us, this is one you want to get under your belt. A famous film director struggles to make a film but is thwarted at every turn. Here film rolls off the edge of realism into sheer greatness. You can handle it! Fellini made a lot of very popular films(La Strada, La Dolce Vita, etc. ), but there isn’t one that leaves a bigger impact on students than 8 ½. “Mind-blowing” is a term that comes to mind. Some hate it, but it has also has inspired many a young person to become a filmmaker themselves! No one stays neutral. So what makes it such a big deal? The story is a simple one about a film director in a crisis: he’s in the middle of a big production but has lost his vision and can’t make any decisions. The confusion (and the genius) comes from the way the film jumps around from the present, to the past, to his dreams, to his fantasies without any real help sorting out which is which. You’re going to have to work to keep up, but it’s worth it. No one had used this technique before and no one has done it so successfully since. The film may be about a director who doesn’t know what to do, but the same certainly cannot be said of Fellini! Fellini began his career as an artist, and during the early 40’s wrote a number of radio and film scripts while being an all around help with an actor friends traveling theater company. At the end of the war, they opened The Funny Face Shop, an arcade for GI’s which specialized in quick portraits, photos, voice recordings for the folks back home. One day a visit from director Roberto Rosselini brought Fellini his collaboration on a script for Open City, and he followed this with work on Paisan, both sterling film classics. After a couple of unsuccessful stabs at film, Fellini directed Il Vitelloni (the Loafers) which brought him great success. He followed this with one thoughtful success after another including La Strada, Nights of Cabiria, and La Dolce Vita, all in a familiar post neo-realist style. Out of this work emerged a new style which announced itself with 8 1/2, films driven by theme rather than plot, films filled with atmosphere, color and memorable characters and rich fantasy. From these films, the adjective “Felliniesque” entered our vocabulary. The horrors of World War II seen up close through the eyes of a teenager as he struggles to survive. Moving, lyrical, powerful, this is a wonder of filmmaking that you’ll never forget. 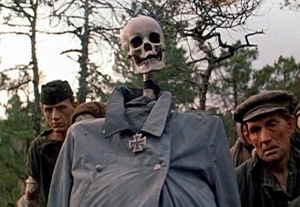 WARNING: This film realistically depicts the horrors of war and genocide. Many young Americans are completely unfamiliar with the incredible suffering Soviet countries endured during WW II. One of the most horrible campaigns took place in Belarus and it is there the film takes place, in the peaceful farmland where Nazi reprisals were the most severe. By following a young teenager through the conflict, you are given the very most vivid and moving portrait of how young people must have experienced the war, and you come out with one of the greatest anti-war films in history. It is not an easy film to watch. According to the director: "I understood that this would be a very brutal film and that it was unlikely that people would be able to watch it. I told this to my screenplay coauthor, the writer Ales Adamovich. But he replied: 'Let them not watch it, then. This is something we must leave after us. As evidence of war, and as a plea for peace.'" We urge you to not to miss this great experience, because it will probably change your view of film and of history. Emir Klimov struggled throughout his career against the Russian authorities. His first films were shelved by the censors. He continued with the encouragement of his wife, also a film maker. The first film to be approved by the censors was Agony, a rather hysterical look at the life of Rasputin. This was followed by Farewell and Larrissa. The tragic death of his wife in an automobile accident threw him into emotional turmoil that was broken by his work on Come and See, and his state of mind probably contributed much to its power. 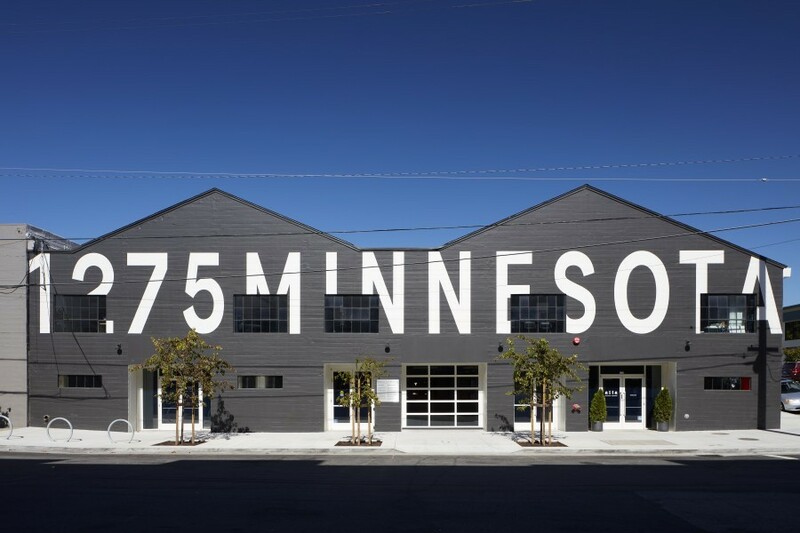 Come with us to see what's on show at San Francisco's newest (and largest) art complex, The Minnesota Street Project. Over a dozen of the cities top art galleries gathered together, which mean's there's always something exciting and unexpected to discover! We'll be stopping at Anglim Gilbert, Rena Bransten, Jack Fisher, and the McEvoy Foundation to name a few.